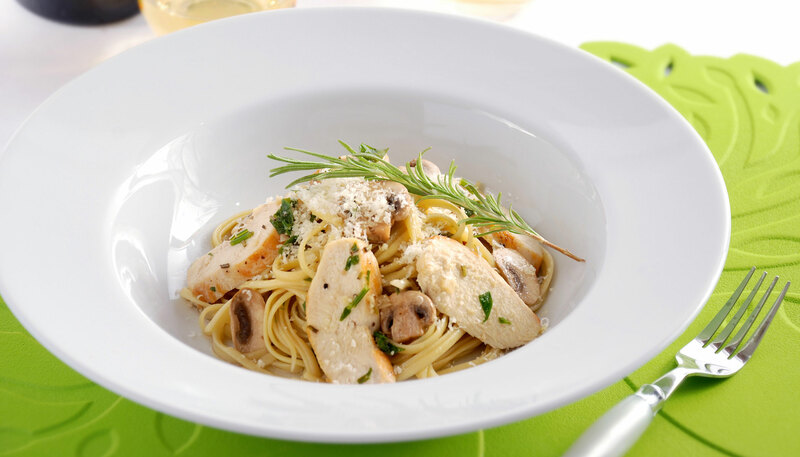 This pasta dish with sautéed chicken breasts and mushrooms, is bright and flavorful with white wine garlic sauce. Red pepper flakes are optional for those who prefer a little bit of spice! 1/2 cup extra virgin olive oil plus 3 Tbsp. 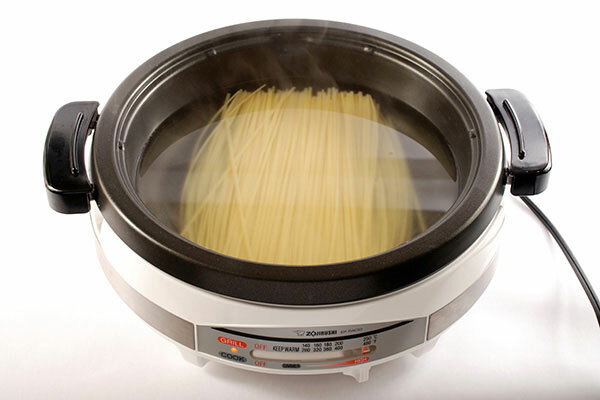 Boil water in Gourmet d' Expert® Electric Skillet on High setting and cook linguine al dente (about 5 minutes) or according to package directions. Drain and toss with 1 Tbsp. olive oil and set aside. Wash chicken, pat dry and season with salt and pepper. Heat 2 Tbsp. oil on HIGH, add chicken and brown on both sides. 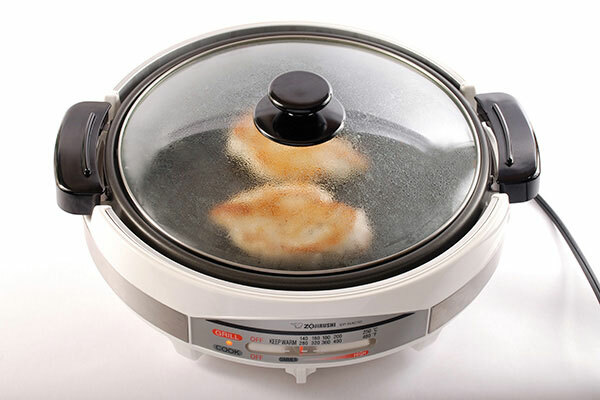 Lower heat to 280°F, cover and cook through, about 5 minutes. 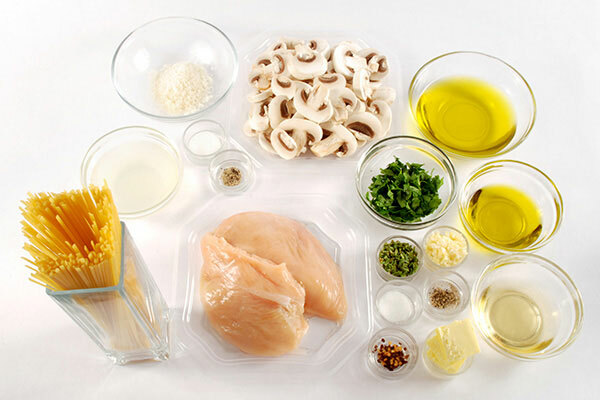 Remove chicken, allow to cool and cut into 1/4 inch slices. 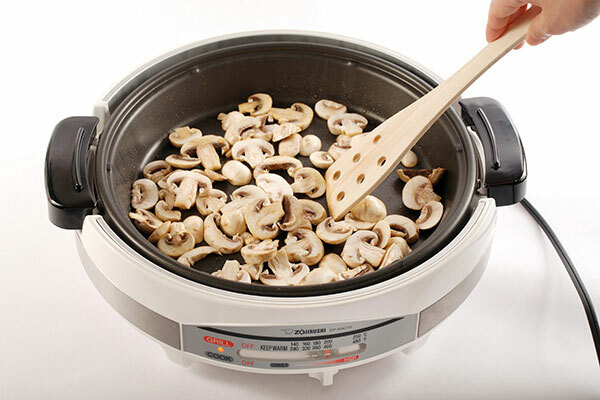 Add mushrooms to remaining juices in pan and cook for 1 minute at about 400°F. Remove and set aside. To make pasta sauce, heat butter, 1/2 cup olive oil, and garlic at Medium-High (360°F). Cook until slightly golden. Add wine and cook 3-4 minutes. Add remaining ingredients, except for parmesan cheese. 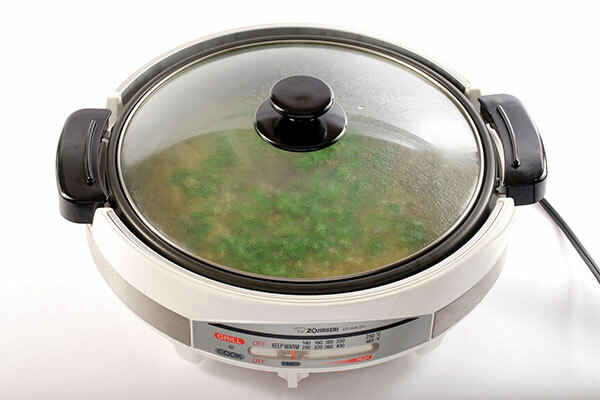 Cover and simmer for about 15 minutes. 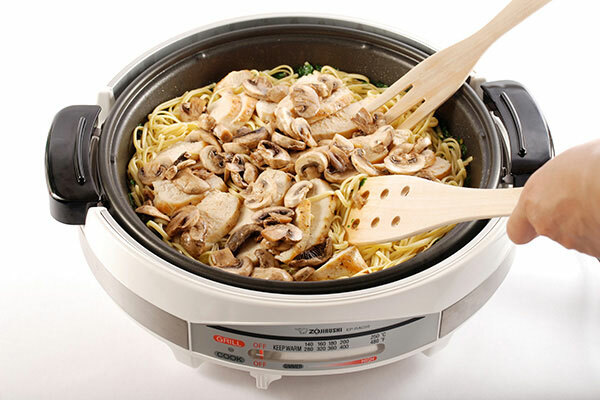 Add cooked pasta, chicken slices, and mushrooms to sauce and mix thoroughly. Serve with grated parmesan cheese.